Go ahead, make them blush! 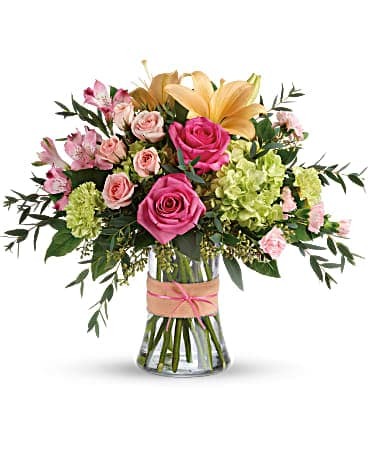 This luxurious bouquet of roses, lilies and hydrangea in fresh shades of pink, peach and green is sure to put some cheerful color in their cheeks! Add a healthy dose of goodness and light to someone's day with this colorful bouquet! 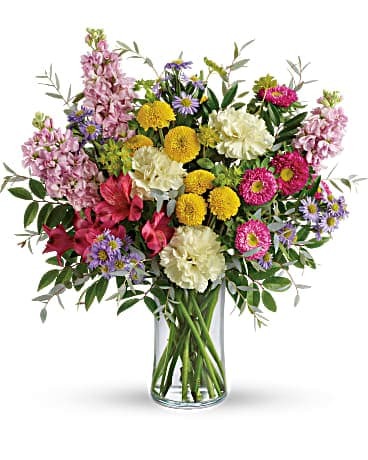 A bountiful blend of garden flowers in cheerful shades of pink, yellow and lavender is sure to bring a smile. Locally owned & operated, Linsk Flowers has been delivering smiles since 1948! Other floral websites ship your flowers from out-of-town and leaves the box, regardless of weather conditions, for your recipient to trim and arrange. If you want fresh, hand-delivered flowers count on the trusted florists at Linsk Flowers! Our store is locally owned and operated, and you can trust that your professionally arranged flowers will be delivered fresh and undamaged. 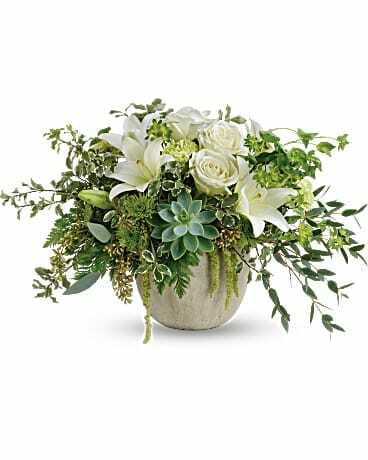 For flower delivery within the entire Twin Cities metro and beyond, don’t take a chance on those other sites – order your gift from Linsk Flowers and expect the best. Linsk Flowers of St. Louis Park, MN – centrally located within the Twin Cities metro area – has been trusted for over 70 years to deliver the most beautiful bouquets. Our talented team of designers is always ready to help you create the perfect gift for any occasion. Please stop by our Saint Louis Park store to browse or extensive selection of flowers and plants, or call us if you want to place a personalized, custom order for that special someone.